Living in a green home can be more than just an eco-friendly way to survive. Living green can lead to lower electric and water bills, gain additional tax breaks, and reduce your household’s environmental footprint. 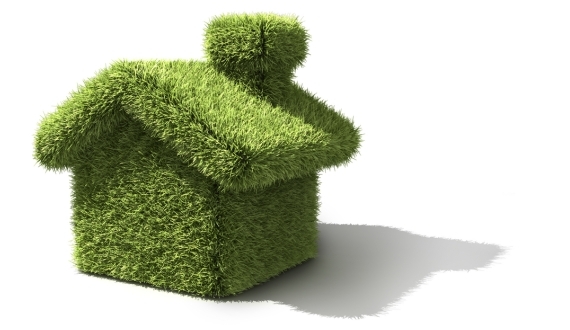 U.S. mortgage lenders make it easier than ever to add eco-friendly features to your home. Through the Energy Efficient Mortgage (EEM) program, military borrowers can finance improvements and repairs straight into their loans. The VA Energy Efficient Mortgage is a simple way to finance costs. With today’s VA mortgage rates, there are more than 1/4th of a percentage point lower than rates for a comparable conventional loan. Right now is an excellent time to consider a “green mortgage”. Energy-efficiency is on the rise and becoming more important than ever to U.S. homebuyers. About 80 percent of today’s consumers say that a home’s eco-friendly footprint affects their buying decisions. By finding the right home with the right price, obtaining the right energy-efficient features can be a challenge. Energy-efficient features of a home are rarely listed on a home’s listing page. Most of the time they are not listed through a large percentage of U.S. municipalities requiring a home seller to disclose energy and water usage over the prior 12 months. In the meantime, many homeowners opt to make energy-efficiency upgrades after closing on a purchase. This may include replacing windows, roofing, or adding a series of appliances. It’s for homeowners such as these that the energy efficient mortgage is such a powerful option. Qualified VA borrowers can look to finance the cost of energy-efficiency improvements directly into their loans. Choosing to spend now in order to save later can help veterans and military homebuyers lower their energy costs and realize long-term savings. Energy efficient mortgages are available for all loan types, including fixed-rate mortgages and adjustable-rate ones. Under the VA program, borrowers can typically add up to $6,000 in qualified improvements to their new loan. As part of the EEM program, plan for your home to be energy-audited; lenders will often want to verify that the benefits of the planned upgrades offset the costs. A trained auditor will evaluate your home’s energy efficiency and tabulate a score based upon the Home Energy Rating System (HERS) index. The scale runs from 0 to 150. Lower scores suggest high levels of energy-efficiency. The auditor’s report will list recommended improvements and detail their expected annual savings. It is helpful to know that a typical home resells with an energy rating of 130, according to the U.S. Energy Department. By comparison, the typical newly-built home is sold with a rating of 100. In return, this means that new homes are typically 30% more efficient than existing ones. Local companies and utilities may perform free or reduced-cost energy audits for veterans and military homebuyers. By applying and being admitted to the VA Energy Efficient Mortgage program, homebuyers are typically given six months post-closing to complete their energy-efficiency improvements. This is true for improvements across all categories, including the purchase of new appliances, new windows, and roofing. From your home’s energy audit, your lender will know the expected costs of your improvement. Typically, those funds will be held in an escrow account, to be released after the respective upgrades are finished and inspected. Even some simple energy-efficiency upgrades can make a big difference. U.S. homeowners on average spend about $2,200 each year on energy costs. Just improving a home’s insulation and weather sealing can trim energy costs by 10% annually, according to the EPA. The government’s Energy Star program also suggests other possible money-saving measures. One is due to replacing older, single pane windows, which yields an average annual savings of $500. Beyond a monthly drop in energy costs, an energy-efficient mortgage can also bolster your home’s resale value. Studies and surveys continue to show that homebuyers are willing to pay more for homes with green features. To be sure, an energy-efficient mortgage isn’t the best fit for every VA borrower. The funding fee most VA homebuyers pay will be calculated based on the full loan amount, including the costs of energy-efficiency improvements. It’s important to consider the upfront costs and compare them with your projected savings. With energy costs rising, though, the energy-efficient mortgage (EEM) can be a terrific way to finance your pending home improvements. Mortgage rates have trended lower since the start of last year and have held beneath 4% for the last seven months. For homebuyers using the VA Energy Efficient Mortgage (EEM) program, falling rates makes it less expensive to finance improvements.